On the occasion of Human Rights Day 2012, the Uyghur American Association (UAA) calls on newly appointed General Secretary of the Chinese Communist Party (CCP) Xi Jinping, to embrace the value of universal human rights that is embodied in The Universal Declaration of Human Rights and to respect the rights of the Uyghur people to "freedom, justice and peace." The annual December 10 commemoration of the adoption of The Universal Declaration of Human Rights by the United Nations General Assembly in 1948 is a reminder of the indivisibility of human rights and of government obligations to meet international human rights standards. "It is time for the repression to end in East Turkestan," said UAA President Alim Seytoff in a statement from Washington, DC. 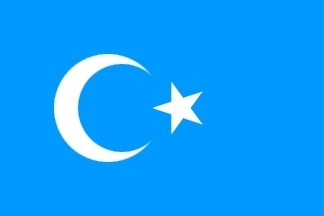 "The repression and demonization that Uyghurs endured under Hu Jintao created deep resentment in East Turkestan. The divide between Uyghur and Han Chinese societies is at a critical level. Xi Jinping holds the key to creating opportunities for inter-ethnic dialogue by reversing the discriminatory, assimilative and repressive policies of his predecessor. By showing respect for Uyghurs and their human rights, Xi Jinping will make a positive contribution to resolving the East Turkestan issue." For the past ten years, the CCP administration, presided over by Hu Jintao, did not meet human rights obligations to its citizens. Contradictorily, in his pursuit of the "Harmonious Society," a concept aimed to redress social injustice and inequality, Hu Jintao merely aggravated economic divides in China. The resulting dissent was only quelled by ever-tighter restrictions on individual and collective freedoms. Uyghur people in East Turkestan experienced severe repression in the past ten years. While the Chinese state invested large sums of money into the regional economy, levels of poverty and unemployment among Uyghurs increased. The open discrimination of state and private employers in East Turkestan is an indicator of the social inequity Uyghurs experience in their homeland. Attempts to dilute a distinct Uyghur identity through unchecked state policies, such as diminishing the Uyghur language in education, demolishing traditional Uyghur neighborhoods and imposing excessive curbs on religious freedom, exacerbate the sense of injustice and accentuate the lack of Uyghur voice to seek redress on these issues. The aftermath of the 2009 unrest in Urumchi is a stark illustration of the impunity in which the Chinese state acts in East Turkestan. In the months following the unrest, an unknown number of Uyghurs were forcibly disappeared by security forces and trials of Uyghurs that fell far below international standards imposed death sentences in a matter of days. In addition, Uyghur journalists and bloggers were sentenced to long prison terms for merely contradicting official narratives of the unrest. The unrest also underscored the Chinese government's rhetoric of terrorism to justify the persecution of Uyghurs. Chinese authorities did not undertake an introspective assessment of the underlying causes behind the unrest and merely blamed 'overseas terrorists' for its instigation. UAA is concerned that recent comments made by Xi Jinping on the dangers of "empty talk" signal a continued policy to suppress freedom of speech in China. Xi's comment ostensibly targets officials who prefer 'talk over action;' however, his comments fail to acknowledge citizens are not empowered to offer substantive suggestions to government policy in order to realize a balanced approach to their implementation. UAA believes that Uyghurs, Tibetans, Mongols and Han Chinese have the universal right to determine the future of their people through constructive discussion. At this early stage of his tenure as CCP General Secretary, Xi Jinping should recognize that ideas from all sectors of Chinese society constitute a positive route to conflict resolution.